The USC and Meiji University students after our arrival at Lake Yamanaka (featuring Mt. Fuji in the background). Photo by Yu Tokunaga. 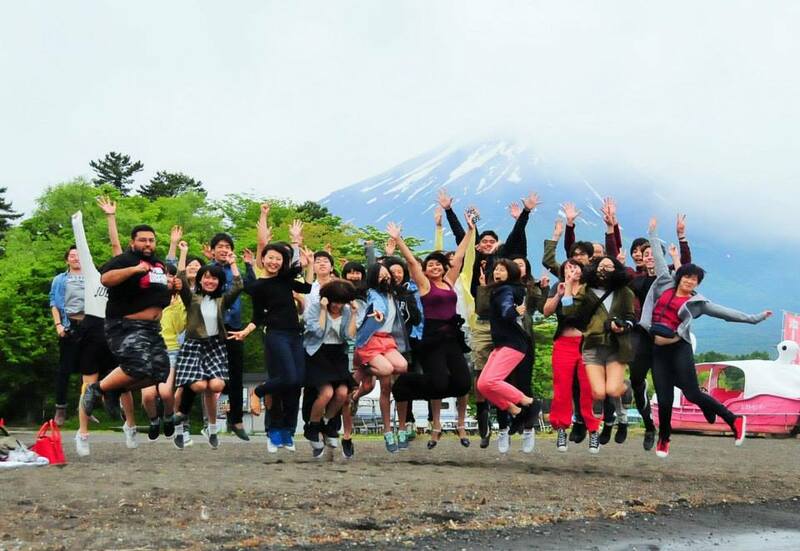 We woke up bright and early morning on June 5 to travel with Meiji University students to Lake Yamanaka. I ended up sitting in the back of our charter bus with three Meiji boys. After we introduced ourselves I began interviewing the three students about their awareness of Japan’s foreign labor exploitation and their perceptions of Chinese people in Japan. I was not expecting Meiji students to know much about Japan’s “Technical Intern Training Program.” The Japanese government claims that the program helps prepare foreign trainees succeed in their home country’s economies, but it has been used more often to facilitate cheap labor in small to medium Japanese companies. Even though the Japan Times, Japan Today and the U.S. Department of State have all written about problems with the program, such as withholding wages and taking away foreign workers’ passports and bank cards, there has not been any widespread effort in Japanese society to amend the program’s rights violations. That is why I wanted to interview Meiji students; I wanted to understand why there has not been more done to stop the injustices of Japan’s foreign trainee program. The lack of action in Japan led me to suspect that people in Japan, especially Japanese youth, lack awareness of labor exploitation. I speculated that one potential reason young people might not know about the trainee program is if they do not pay attention to the news. 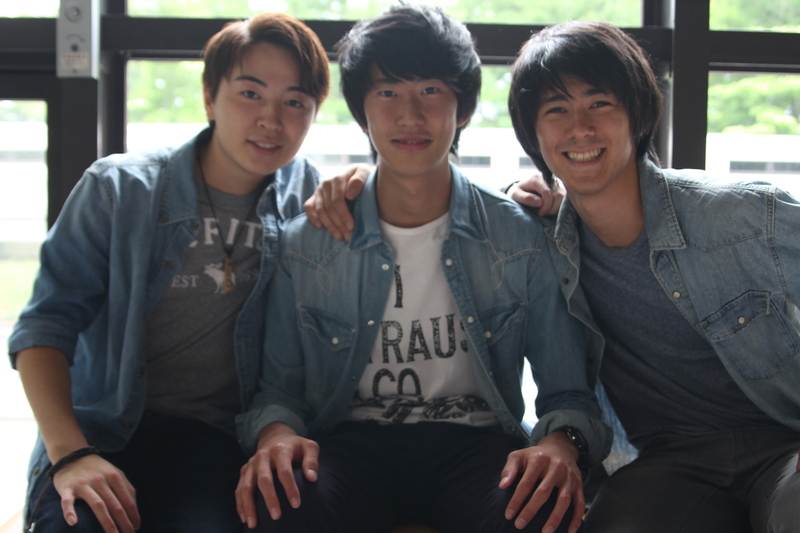 Three of Meiji University students I interviewed about Chinese workers in Japan. To test this idea, I first asked students if they knew what the trainee program was – my teaching assistant Toku helped me pronounce the name in Japanese as “Gaikokujin Ginou Jishu Seido.” For those who claimed they knew what the program is, I then asked each person to describe certain aspects of the program. “Which ethnic group makes up the most of the trainee program? Can you describe any problems with this labor?” I was shocked by some of the answers I heard. All three boys claimed they watched the news either daily or almost every day, and two boys also claimed they read news on the internet every day. Despite this, none of the students I initially interviewed knew about Japan’s labor violations. Two boys spoke of problems between Chinese trainees and Japanese companies as rooted in the countries’ “different cultures.” One of them said he thinks Chinese workers benefit from the trainee program and claimed that the Chinese interns, not the companies who use them, were the troublemakers. The third boy mistakenly thought the program was costly for Japanese companies, when in reality it is actually a cost-cutting method that makes its profits off the backs of low-wage workers. One of my Meiji supporters sneakily took this photo while I was interviewing another student. Later in the day, I spoke to another Meiji student who was slightly more knowledgeable on the trainee program. While she was unaware of certain labor violations, she understood that most trainees cannot actually find work in Japan once their 3-year contracts are filled and that they often become desperate after their contracts run out. The most shocking thing about my exchange with these four students was the way most of them spoke about Chinese stereotypes. According to news these students saw on TV, Chinese were seen to be loud, rude, and in some ways incompatible with the social norms of Japanese society. Despite these negative media portrayals, all four students spoke highly of their Chinese friends. It gave me hope to hear that meeting Chinese people in their everyday lives opened the eyes of Meiji students and allowed them to see the Chinese beyond their stereotypes. Given that the students cannot seem to rely on media to resolve conflicts between China and Japan, it is reassuring that they can still have strong interpersonal relationships with Chinese people.